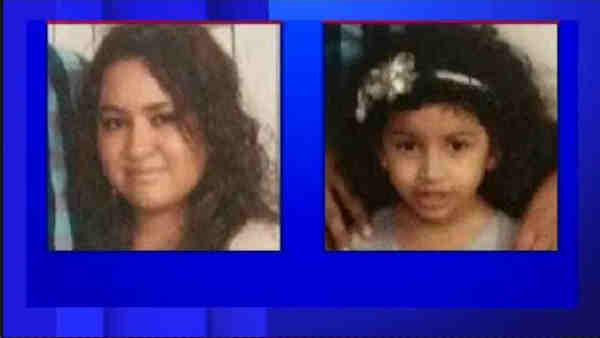 PASSAIC, New Jersey (WABC) -- Police in New Jersey said Wednesday that they have found the mother and her 5-year-old daughter who disappeared on Saturday. Authorities said 32-year old Cecilia Manzueta and Valentina, who were last seen at a Holiday Inn in Newark, are safe and unharmed. Natanael Manzueta, 37, called the Passaic Police Department Friday to report that his wife and their child were missing. They were found at 5:20 p.m. Tuesday. There were no further details about where they were found or where they have been. Police thanked the public for their help on social media. "It was your shares and the attention generated that assisted detectives in ultimately locating Cecilia and Valentina in safe condition," police said in a statement.